There are two groups of people in life: those who like Brussels Sprouts, and those who hate them. Am I right? I had only tried them boiled, which definitely put me in the hater group…until this recipe came into my life. Roasting the Brussels Sprouts gives them a perfect crunchy texture, and the bacon flavor melts into them while they’re baking. 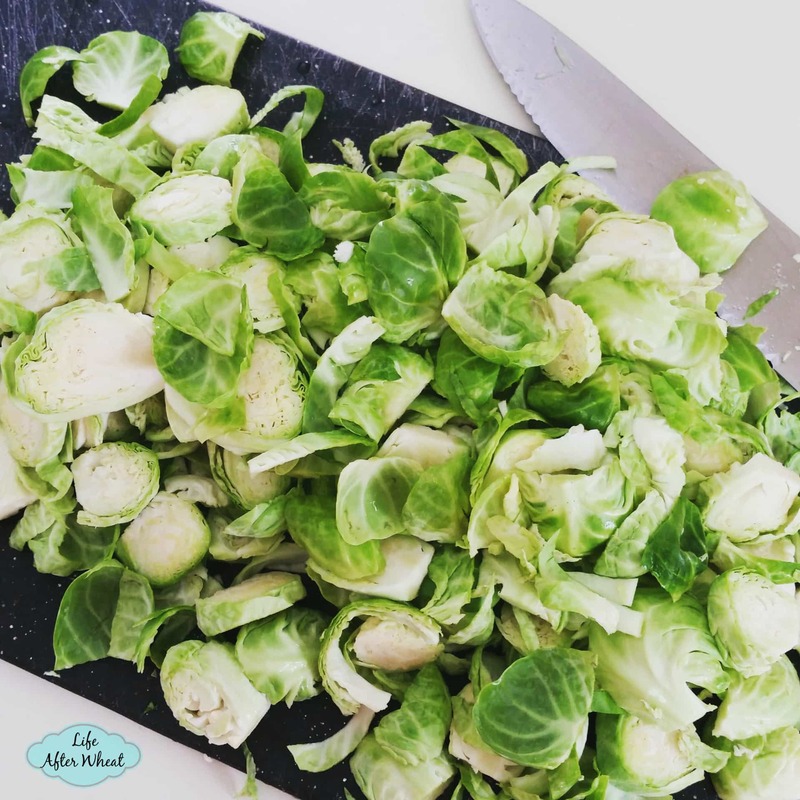 Need another reason to love Brussels Sprouts? They are a good source of fiber and folate, and are packed with vitamins A, C, and K! And the kicker? 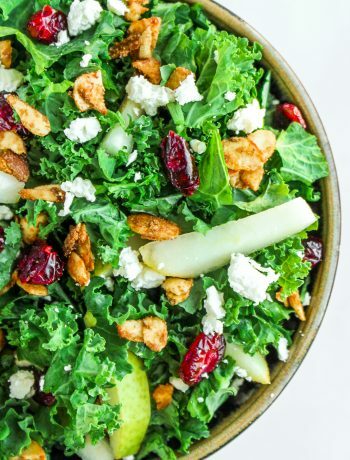 My kids beg me to buy Brussels Sprouts every time we hit the store so we can have this dish with our dinner (they also chastise me for snitching bites between the oven and the table, but I swear it’s like eating candy and I just can’t help myself!). Lightly grease a large baking sheet, or cover with parchment. 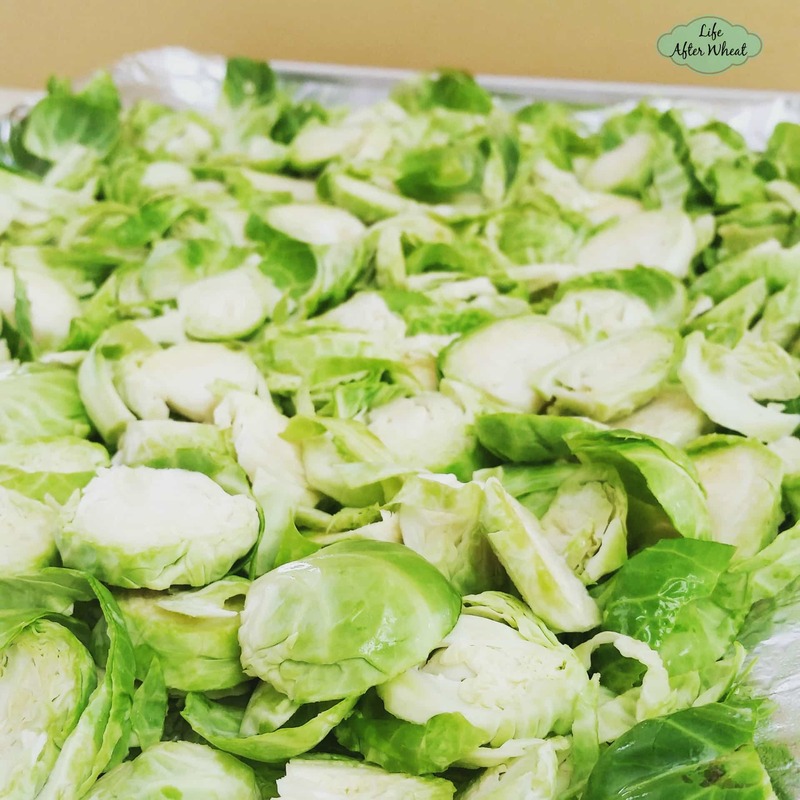 Spread prepared brussels sprouts in a single layer on baking sheet. 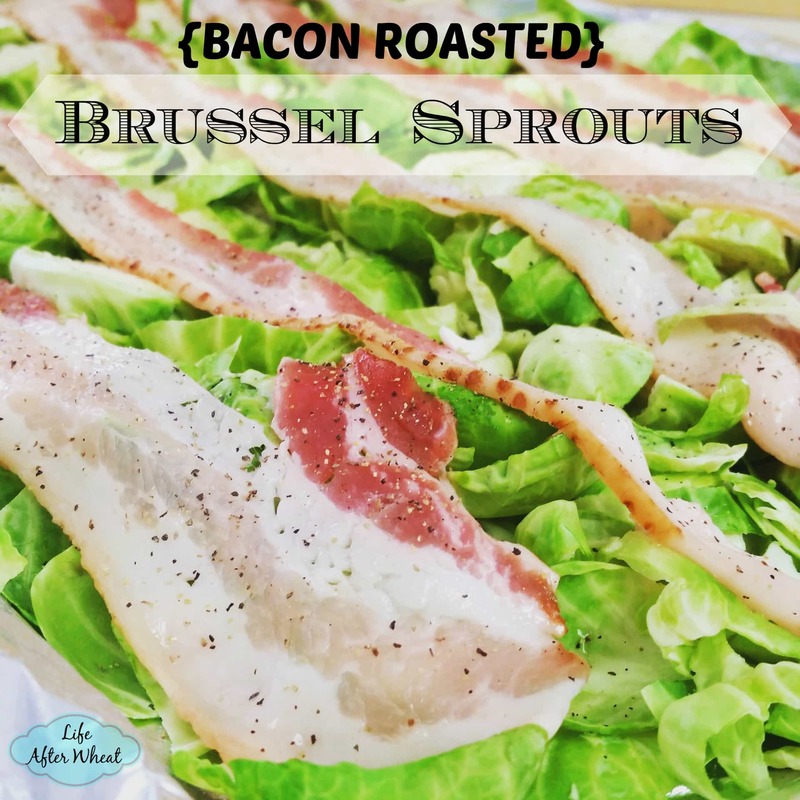 Top with bacon so most of the brussels sprouts are covered and sprinkle with pepper. 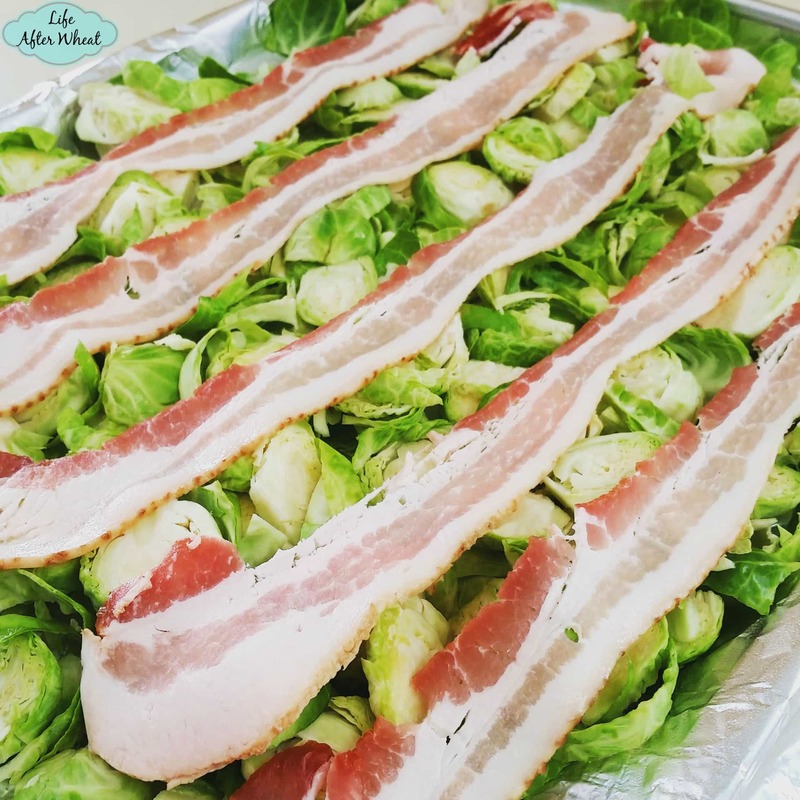 Bake for 20 minutes, stir, and bake another 10 minutes or until bacon and brussel sprouts are crispy and browning. Sprinkle with additional salt and pepper if you want, and serve. I’m in the loving them camp! Looks awesome. Omg I LOVE brussels. And I love bacon! This looks like the perfect combo. And I love it that you just lay the bacon on top — no frying it up and getting the kitchen all messy :-). Thanks for the great inspiration! I’m a huge fan of easy dishes, I’m sure you’ll love it Sarah!